A traditional collection derived from iconic designs. Absolutely timeless! 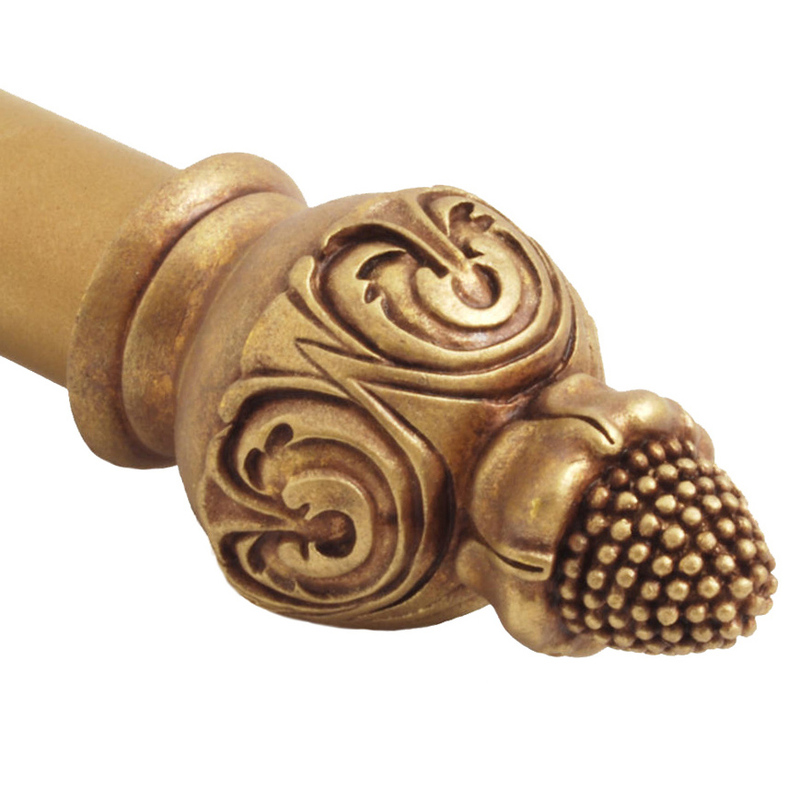 This expansive line of hardware presents a diverse range of styles, size and finishes. Sophisticated finishes are carefully applied by hand. No two pieces are exactly alike which adds to their inherent beauty. Choose from metal poles or wooden poles in reeded and roped style. Signature is a hand drawn system best operated by a baton. It is also possible to enjoy the modern conveniences of drapery motorization by allowing us to retrofit any 2” Signature wood pole to the face of our Glydea™ Motorized Track System by Somfy®. This state-of-the art motor technology is ultra quiet and smooth in motion. If you like the look of the Signature Collection but prefer traversing functionality, refer to our Signature Traverse Collection.